“Taming of the Shrew” has always been my favorite Shakespeare play. I have seen it numerous times. I find it touching and clever at the same time. So, as with Petruchio, off to Padua we go. Or went. 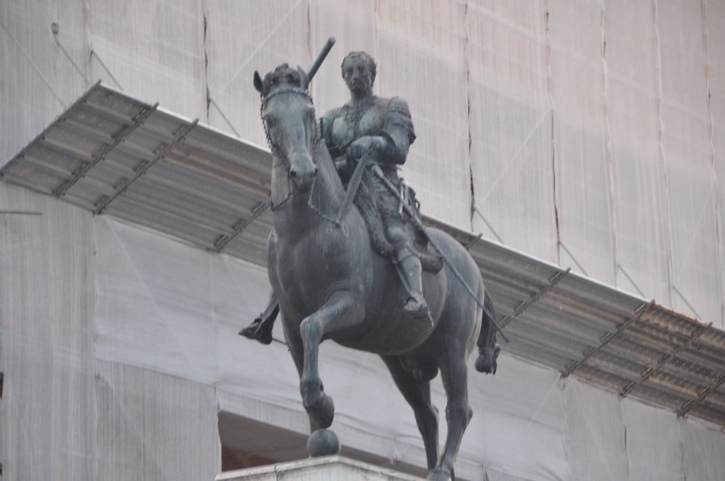 And actually, in Italy it isn’t Padua at all. It’s Padova. So, now that we have that straight, let me tell you why we were off happily to Padua. First of all, it is a great place to stay if you want to see Venice. It is cheaper, and of course, you can’t really drive to Venice. Unless you have especially equipped cars that can change into boats. So, you stay in Padova, and then you take the train in. And then a water taxi or vaporetto. Which is exactly what we did. 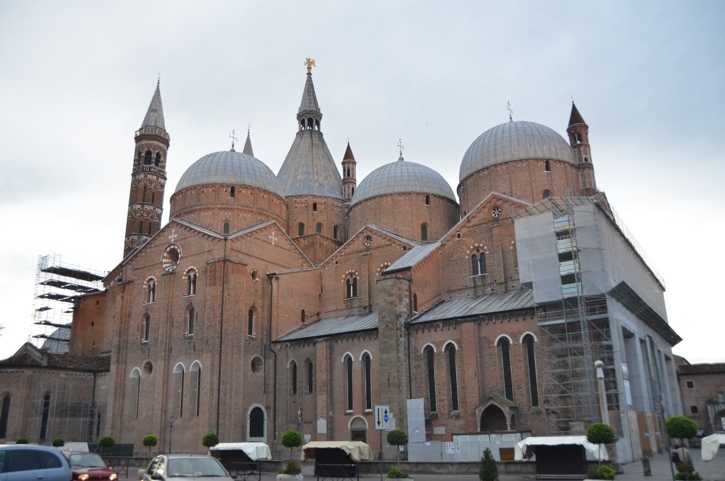 But besides the convenient location, Padua is home to one of the greatest examples of early Renaissance art in the west: Giotto’s Scrovegni Chapel. To see this chapel, you first have to make a reservation. The Chapel is delicate, and some parts of it are degenerating. They have sealed it in a specially controlled environment to prevent further loss of the frescoes. You are first taken in a room where you watch an informational video about the chapel; then you are allowed into the chapel for a total of 15 minutes. This chapel is a special place. There is a very sweet feeling there. After the movie, the patrons are quiet and respectful. 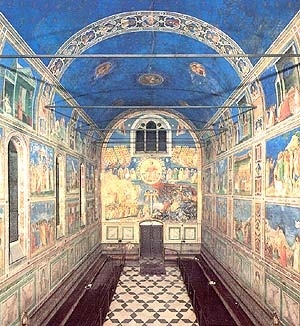 It is a small chapel, but completely covered in fresco detailing the life of Mary and Christ. Not only is the subject matter in itself a cause for reverence and reflection, but the art is so expressive, colorful, and innovative for the day. 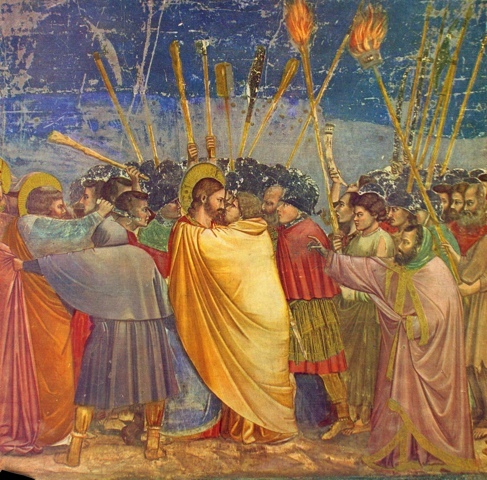 Giotto is known as a one of the first to break with the past traditions of be middle ages and introduces a level of humanity and expression not seen in Christian art up to this point. He experiments with perspective and realism. His art is so emotive without being overly flowery or exaggerated at all. Photography is absolutely not allowed, but here are some images I managed to track down. We bought a small book about the chapel, so I am excited to read more about it. Shot of Chapel. I love the blue starry ceiling. This panel was my favorite. Look how John is throwing his hands back in despair. 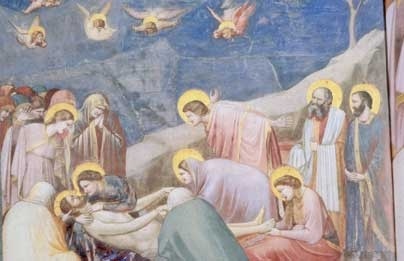 Not only is Giotto attempting to portray three dimensions, he is also catching the grief of a friend to the Savior. This little lunette made me smile. 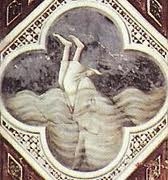 I think Giotto had a sense of humor. Can you guess which Old Testament story? The fifteen minutes we had went way too fast. I left wishing I had more time. After the chapel we walked to St. Anthony, a very large church in Padua. Since it was Sunday, we arrived just in time for mass, so we stayed. Many had gathered for this evening mass, and it was interesting to hear mass all in Italian. It is such a beautiful language. I also love how much singing is done in a Catholic service. These particular liturgy books only contain the words, but the people all knew the melodies and sung along. I also love the part of the mass where everyone turns to their neighbor and grants them peace with a handshake, smile, or pat. We grabbed dinner at a little place that was like a cafeteria, but that made pizza to order. The pizza we ordered had roasted potatoes as one of the toppings. Surprisingly, it was good! So far, so good. 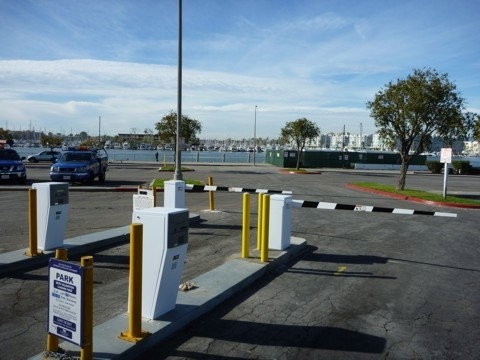 But then we came immediately to another parking barrier, and it would not open, and then the one behind us slammed down, trapping us between the two. This caused some distress. We didn’t know what to do! We were imagining the arrival of the police, or some such ruckus. Apparently it wasn’t free. So, we found a button on a machine by our car window and we pushed it. Luckily, the man spoke English and was able to explain that we needed to enter our license plate number at the green box to know how much we needed to pay in parking. The lot camera takes a picture of your license plate number, and records your arrival time. Who knew??? Such were our adventures in Padua. Oops. I mean Padova.